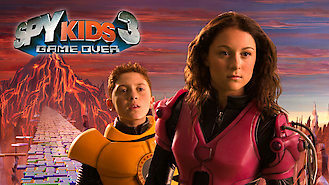 Not in Canada but still want to watch Spy Kids 3: Game Over? Carmen gets caught in a virtual reality game designed by the kids' new nemesis, the Toymaker, and it's up to Juni to save her by beating the game. This brother-sister spy team has the coolest gadgets! This time, they fight a bad guy inside a video game.